Author: Wood, Brian Set In . 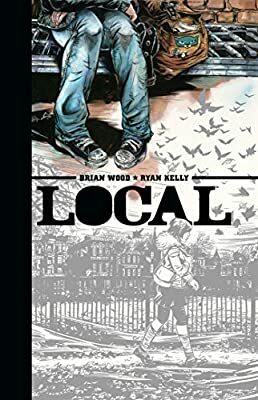 . .
From Brian Wood (Demo, DMZ, Northlanders) and Ryan Kelly (Lucifer, American Virgin) comes Local, a collection of twelve interconnected short stories. Crossing genres as it crosses the country, Local examines Megan McKeenan, a young woman who sets off from Portland, OR with nothing but a backpack and a bad case of wanderlust. Each emotional vignette is a self-contained story that represents one year in the life of this young vagabond as she struggles to find a place to call home, both physically and spiritually.